The first of these episodes is Reverberation, which starts out as basically a pseudo episode of Scooby Doo. Recently, there have been some strange happenings late at night on the school network involving a ghost with a pumpkin head knocking out and stripping his victims. So the gang plans to set a trap—complete with a pig dual-wielding submachine guns—to catch and unmask whoever is responsible. What they find, however, is the last player of the precursor to Brain Burst who is looking for one final battle to go out in a blaze of glory. The point of this episode is largely fanservice—though not necessarily the sexual kind. The side effect of entering this half Brain Burst game is that the main characters' avatars become half their school avatars and half their Brain Burst ones—which ends up looking either cool or hilarious. There are some memorable gags, like the orgasmic cries Taku lets out when Chiyuri plunges her fist into his half pile-driver body. On the visual side, both major fight scenes in this episode look great. But while the comedy and animation are enjoyable enough, this episode suffers in the drama department. Like many episodes before it, it deals with Haruyuki's inability to believe that he is any more to Snow Black than a tool to be used by her—a role he is quite happy with. The problem with this conflict is that it has been largely overcome in the preceding 18 or so episodes, with Haruyuki constantly striving to be worthy of her. And frankly, when someone makes the conscious, reasoned choice to get hit by a car to save your life, it's impossible to believe they don't feel something for you. In other words, this story feels like a huge step back character development-wise. The second episode, Vacation; Onsen has a bit more going for it. The plot centers around the upcoming school physical. Unless Haruyuki drops a few pounds, he will be labeled as unhealthily overweight. This in turn will cause him to be forced into a special gym class during the time when he and the others are supposed to be protecting their virtual territory. And after conventional weight loss techniques fail (i.e., exercise and dieting), they all go to a hot springs resort (which is famous for making people lose weight) instead. Unlike the typical fanservice-filled "hot springs episodes" we usually get in anime, this episode has fun deconstructing the cliché. Instead of bathing in the hot spring in the real world, for example, they do it in the virtual world where they are all their normal armor-clad avatars—no fanservice there. That's not to say there are no "hot springs episode" tropes (like the ever popular "boy and girl accidentally getting into the bath at the same time"), but they are generally tame or played for laughs. But it isn't the comedy that makes this side story so enjoyable, it's the dramatic aspect. In Vacation; Onsen, we learn why Haruyuki is overweight as well as some of the back story about him and his family. And rather than focusing on Haruyuki's insecurities when it comes to love, this episode takes a look inside the head of Snow Black to see her insecurities when it comes to their relationship. This is an excellent piece of role reversal that adds depth to her typically stoic and aloof character. In the end, while both episodes are filler, neither are terrible. Though the drama in Reverberation really feels like the recycling of an old conflict, the rest of the episode is enjoyable enough. And while Vacation; Onsen could have easily been your standard "hot springs episode"—existing for nothing but the sake of pandering to male viewers—it instead serves as good character development for both of the lead characters. 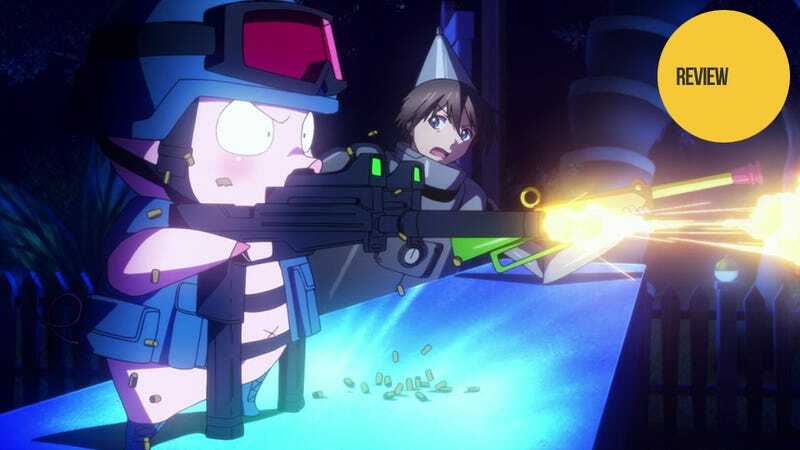 So if you are a fan of Accel World, both of these are worth a watch. Accel World: Reverberation was released in Japan as part of the collector's edition of Accel World: Awakening of the Silver Wings on September 13, 2012. Accel World: Vacation; Onsen was released in Japan as part of the collector's edition of Accel World: The Peak of Acceleration on January 31, 2013. There is currently no word on a western release.